First Published: 1847, by Smith, Elder, and Co.
Poor Jane Eyre—the doormat of 19th-century literature. Everyone walks all over her, and her mistreatment by other characters throughout the novel is both infuriating and disgusting. From the Reeds and Mr. Brocklehurst in childhood, to the Ingrams and even her beloved Mr. Rochester as an adult, the abuse heaped upon the heroine of this book is difficult to endure. I actually need to put the book down at certain times because I can only take so much of Jane’s undeserved punishments at once. And who but Charlotte Brontë could ever describe a wedding dress like this? It was enough that in yonder closet, opposite my dressing-table, garments said to be [Mrs. Rochester’s] had already displaced my black stuff Lowood frock and straw bonnet: for not to me appertained that suit of wedding raiment; the pearl coloured robe, the vapoury veil pendent from the usurped portmanteau. I shut the closet to conceal the strange, wraith-like apparel it contained; which, at this evening hour—nine o’clock—gave out certainly a most ghostly shimmer through the shadow of my apartment. This was written by Jon Michael. Posted on Friday, September 4, 2009, at 1:41 pm. Filed under All posts, Charlotte Brontë. Tagged British. Bookmark the permalink. Follow comments here with the RSS feed. Post a comment or leave a trackback. I love Jane Eyre, and always have, even when I’ve gone through periods of hating it. I read it for the first time when I was twelve, and probably read it every year since, and each time the richness of the language throws out new bonds binding me a little tighter to that book. Because I love Wuthering Heights about as much, it’s irresistible to compare despite them being so different. Making some sort of relative value judgment would take days, but I tend to have part of the opinion of their contemporary critics: Wuthering Heights is rough, vulgar, and unromantic, while Jane Eyre is sophisticated and, as you point out, endlessly poetic. 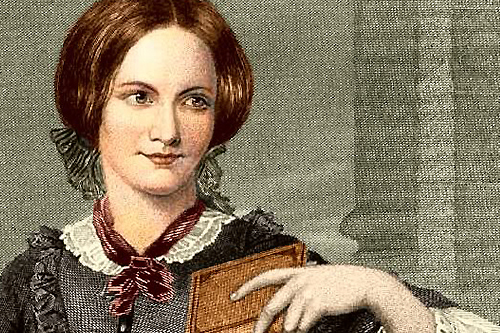 As the tables turned in terms of the public’s relative evaluation of the two books over the last 150 years, I think people have forgotten how poetic Jane Eyre is and so I like the blog entry you’ve written about it.